ProXR is grip technology that helps athletes achieve their most powerful swing. Our patented angled knob works with the batter’s hands to increase plate coverage, protection, precision and power – aka “Exit Velocity”. 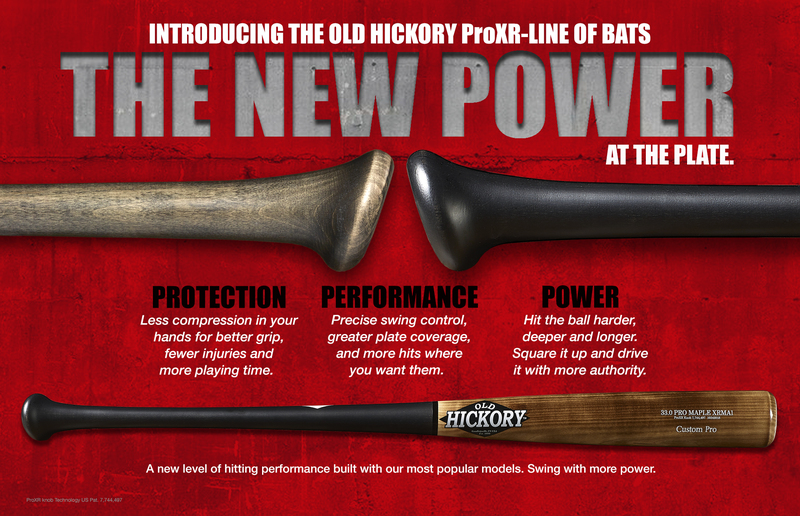 Our ProXR angled knob grip technology is now combined with the best in class Old Hickory Bat Company to deliver the most advanced performance bats on the planet. And yes, that 117.5 MPH bomb by Hanley was with an Old Hickory XR43 maple bat featuring the ProXR angled knob. 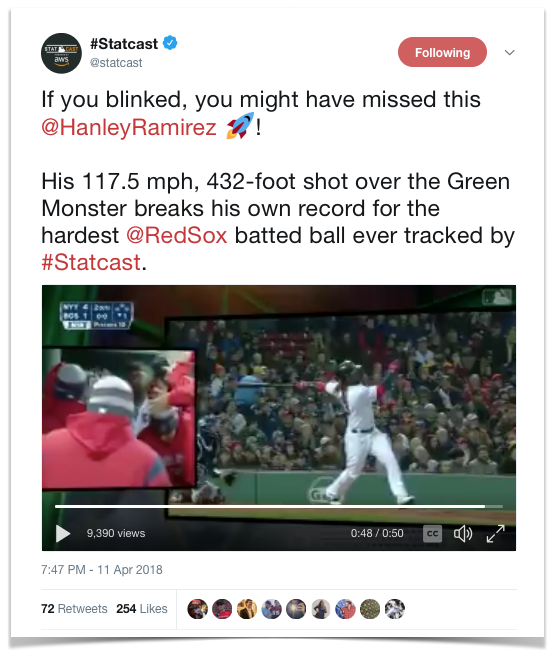 That shot stands as the 20th hardest hit ball in the 2018 season.